Here’s my report on the panel discussion following a preview of ANONYMOUS last Saturday at the Chelsea 9 Theater in New York, sponsored by the Media Educators Association. John T. Yurko, director of the group and chairman of the Communication Arts Department at Caldwell College, NJ, did a great job leading a question-answer session; and I was grateful to be on the panel with English professor Dr. Mary Lindroth and History & Political Science professor Dr. Ben Lammers, both from Caldwell, who made important contributions. This account covers only some of the topics and it’s by no means intended to be complete. First of all the audience seemed to really like the movie. You could hear the proverbial pin drop as all attention was focused on the screen; and that alone is a great achievement on the part of screenwriter John Orloff and director Roland Emmerich, along with the cast and crew. 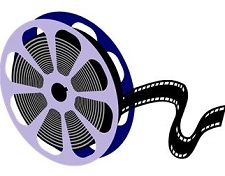 HISTORY OR FICTION: How much true history is in the film? I answered that the major characters and their relationships, along with major plot points, are most certainly real. As an example I pointed out that in the movie there’s a performance of Richard III just before the abortive Essex Rebellion of 8 February 1601, when in fact the conspirators had gotten the Lord Chamberlain’s Men to play Richard II at the Globe. But the purpose in real history was the same – to signal an attempt to remove Secretary Robert Cecil from his control over the aging Queen Elizabeth I and persuade her to name an heir to the throne or, at the least, call a Parliament on the matter of succession. The movie’s choice of Richard III instead of Richard II was to use the more dastardly king, depicted by Shakespeare as a hunchback, to remind the Globe audience of the hunchbacked Cecil; otherwise, the basic point is that a play by “Shakespeare” was definitely used for a political purpose — something that traditional teachings of Shakespearean history have tended to underplay or even to forget. OTHER CANDIDATES: There was a question about authorship candidates other than Edward de Vere 17th Earl of Oxford, as depicted in the film. I answered that in my view, if you look at Oxford’s biography it becomes very difficult to walk away. Why do our teachers and students know so little about this pivotal figure within the English renaissance of literature and drama during the 1580’s? Why do they usually neglect the crucial history leading to the sudden appearance of “Shakespeare” in 1593? How come they seldom try to explain the great author’s full-blown maturity as exhibited by that highly cultured, sophisticated narrative poem, Venus and Adonis? Was it a miracle? 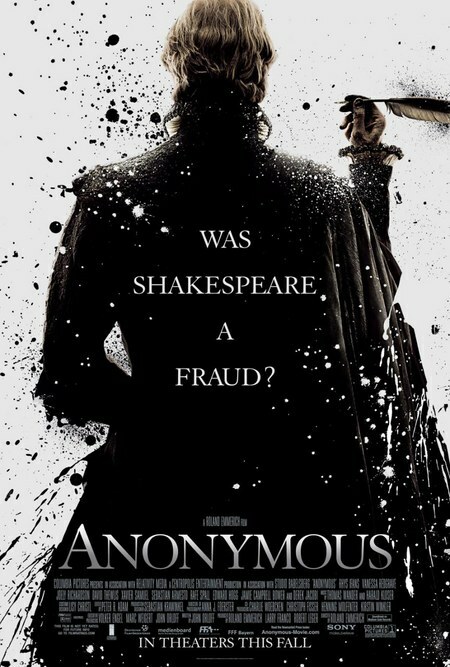 SHAKESPEARE (OR SHAKSPERE) THE ACTOR: Does the movie go too far in terms of making the Stratford man pretty much a buffoon? Maybe so, I said, pointing out that in the “Oxfordian” community we’re still grappling with the question of what role that William Shakspere actually played, if in fact Edward de Vere was the true author. My own feeling is that the Stratford man was never running around London claiming to be “Shakespeare” the poet-playwright. In other words, I do not believe he was ever an active “front man” for the Earl of Oxford. 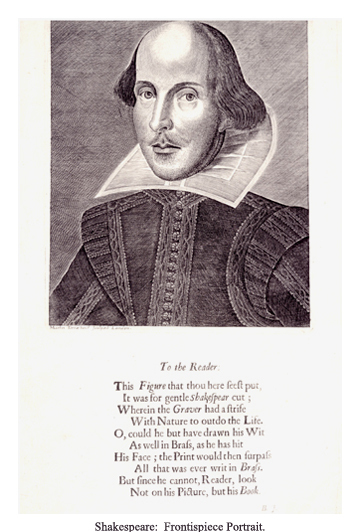 SHAKESPEARE’S PHYSICAL APPEARANCE: In response to another question, I replied that the engraving in the First Folio, by Martin Droeshout, is the most “accurate” portrait the Stratfordians have – but, of course, the engraving is pretty much a cartoon. You can see it’s a mask. COLLABORATORS: Someone wanted to know how all those “collaborations” could have taken place after 1604 if Oxford was dead by then. I replied that other writers may have worked on some of the plays precisely because the author was no longer alive. Of the thirty-six plays to appear in the First Folio of 1623, seven years after Will of Stratford’s death, exactly eighteen or half of them had never been printed before. Why not? And why would the living Shakespeare have needed any collaborators in the first place? There were more questions and answers, of course; overall I felt a genuinely positive atmosphere and interest in learning more. I tried to emphasize that one thing at stake is our understanding of the “creative process” itself and how we teach young people about it. Are we teaching them that, because Shakespeare was such a great “genius” (which I’m sure he was), he had no need to draw upon any life experience and apprenticeship? I suggested that, as the author Charles Beauclerk has said, imagination is being confused with fantasy; that is, the imagination used by Shakespeare must have required much more than fantasizing; on the contrary, it must have required a transmutation of many elements of learning and living and hard work. And that’s what we need to tell those who represent our potential poets, novelists, playwrights and writers of the future. I sense a new energy on its way, a new enthusiasm for Shakespeare, for literature, for theater, for film, for art itself – all to replace the dull stuff that has “turned off” so many in previous generations. A great dam is about to burst open; a great flood of new exploration and discovery is about to begin. As an historian I found the film to be offensive in many of its assumptions. The insult to Elizabeth I was unacceptable – very rude – the idea that a Queen of England who was constantly spied upon by those eager to discredit her, could possibly disappear for a few months to have children, or hide her pregnancies, is a nonsense. I avoid the mistakes on dates of Christopher Marlow – or Marley as he sometimes signed along with other spellings of his surname – being alive 5 years after he died at Deptford, or the trashing of Ben Jonson another great writer, let alone the idea that Stratford upon Avon was a village – it is and was a town – or that the fantastic education boys would get at the town free grammar school is disregarded – in fact, the whole film is a mess of distorted facts – other than that it was an entertaining night out!